Breastfeeding Help from your Physician? Maybe Not. I’ve Lost my Milk! Is it Possible to Relactate? In honor of World Breastfeeding Week, I’m making a toast: Here is to trying again. Here is to providing the best for my baby. Here is to hard times. Here is to when you thought it was all over and starting anew. I am in the process of getting some health issues under control which I know has contributed to declining milk production since about 5 months. So now, at 7 months, my daughter shows little interest in the breast. If I completely stop providing milk for her now, would it be possible to re-establish in a couple months once I can get my own body under control? I have PCOS and thyroid issues and it has taken a while to get into a doctor to re-test hormone levels and get it treated. I would love to keep giving her breast milk once I can produce again, but I really need to focus on me right now. I am exhausted every day to the point where I can barely take care of my daughter. Adding in pumping would be too much! Renee’s response: I think what you’re saying is that pumping would be too difficult for you with your health issues? Yes it’s possible to re-lactate. but not easy. It’s nice to know it is possible. I just didn’t want to get my hopes up if there was little to no chance at all. After my milk supply decreased, I started my baby on solids and tried formula, but wasn’t happy with it. I switched to a EU (European) brand that I still use now. Over the past 2 1/2 months, not surprisingly, my supply dwindled to just about nothing. 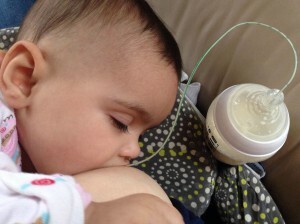 I had realized that getting to 6 months with breastfeeding was a huge thing to be proud of; something most women in my family never got to experience. After learning that it was possible to get my milk back, I decided to try last week. It was time to get back into it, no matter how hard it was. So I started pumping again. She needs my milk. 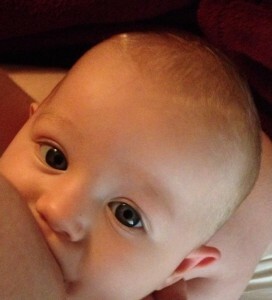 If I never can 100% breastfeed again, that is fine. But I want her to want me when she is hungry, not the bottle. This morning I tried to breastfeed for the first time in many weeks. She latched on!! It only lasted a minute or two, but it was something. It was a start. There is now hope that I am not insane and this could actually work.Thank you for your support and encouragement! Thank YOU, Shelly for sharing your story with us! Note: If you are interested in resuming breastfeeding after cessation, please contact an IBCLC experienced in helping with relactation and inducing lactation. 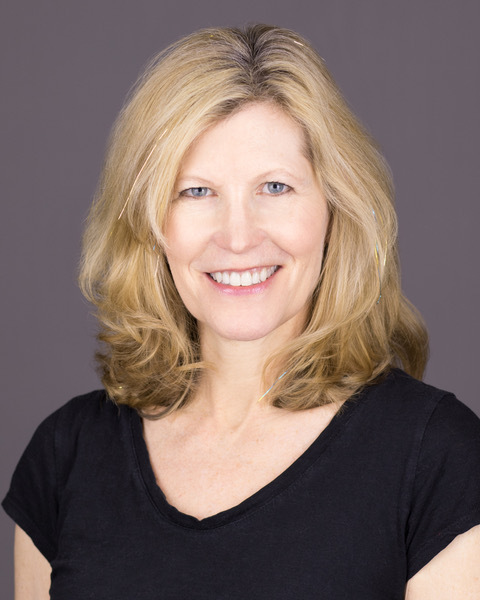 She can help you develop a plan that is right for you. I used to facilitate a breastfeeding drop in group. I never knew what to expect or who would show up. Sometimes clients pop in for a quick follow up, but often I’ve never met the moms before. They are referred to the group by their Drs, their doulas, the acupuncturist or their friends. This is a glimpse into a recent drop in. After moms straggle in with their babies somewhere between 10:20 and 10:45. They get settled in the comfy chairs and I ask them to introduce themselves and their babies. They admire each other’s babies. A mother with a 3- month- old marvels at the smallness of another mom’s 8-day-old baby. She congratulates her for making it out of the house to get support with such a tiny baby.. I ask the mothers to talk about why they are here. Here is what I heard last week. Babies begin to get restless and fussy. I assure them it’s totally fine to breastfeed in this setting! A question is asked about latching. All eyes are on me as I bring out my knitted breast and demonstrate for all to see. I can see mothers trying to replicate the technique I demonstrated. There is concern expressed about using some formula. Everyone is quick to assure the mom that any amount of breast milk is great and the important thing is to feed the baby. There is a discussion about milk supply and how to know baby is getting enough. More questions.. I give general answers. If a mother is having a complex breastfeeding problem, I recommend a consultation with an IBCLC. She can make an appointment with me if desired. A mom shares that she isn’t getting enough sleep and she doesn’t know what to do. Three other moms nod their heads with empathy and give her suggestions. I merely listen, because it seems the mom is getting exactly what she needs. A conversation about pumping ensues. One mom says.. “I have a love/hate relationship with my pump!” There is laughter and more pumping discussion. A baby poops loudly which results in more laughter. A mother confesses she doesn’t know how to determine if her baby is swallowing. So I sit with her and interpret what’s happening as her baby nurses. Another mom listens in, then asks me to watch her with her baby as well. Every few minutes a baby is weighed. When it’s good news all of the mothers rejoice.One mom cries after learning her baby didn’t gain enough weight—other moms cry with her or grow silent. One reaches out and gently pats her back. They always seem to know the right thing to do. A mom asks me to check if her baby has thrush. I don’t do oral exams in drop in groups, but this baby took one look at me and stuck out her tongue and showed me the thick white patch! When one baby cries loudly, the other babies look worried and begin to whimper. I hear things like, “Yes, that baby is sad, but his mother is helping him.” and “That is a loud sound and it’s scaring you.” and “I’m right here, you are ok.” I marvel at the intuition and skill of these first-time moms. Babies fuss and cry with diaper changes. A mom goes to use the restroom and hands me her baby to tend. He smiles and coos at me. It’s 11:30… time to end the meeting. But the moms linger… asking one more question, enjoying the company of other moms and babies. There are hugs and word of encouragement. When they leave they look a little happier, a little lighter and more confident. They have a plan. They know who to call if they need more help. They entered the space as strangers and as they leave, I hear 2 of the moms exchange phone numbers. I hope they are all doing well. I hope I see them next week. Low Milk Supply: Could it be IGT?